made: From Diaper Stacker to Valance?! From Diaper Stacker to Valance?! I was asked by a friend who just had a new baby to help finish her nursery decor. Apparently the line she had ordered had been discontinued (huge bummer!) only a few items were still available. She still needed valances, but unfortunately the vast world wide web could not deliver! It took many, many hours of ripping stitches and saving as much fabric as possible so that I could deconstruct and then REconstruct (does that even make sense?) 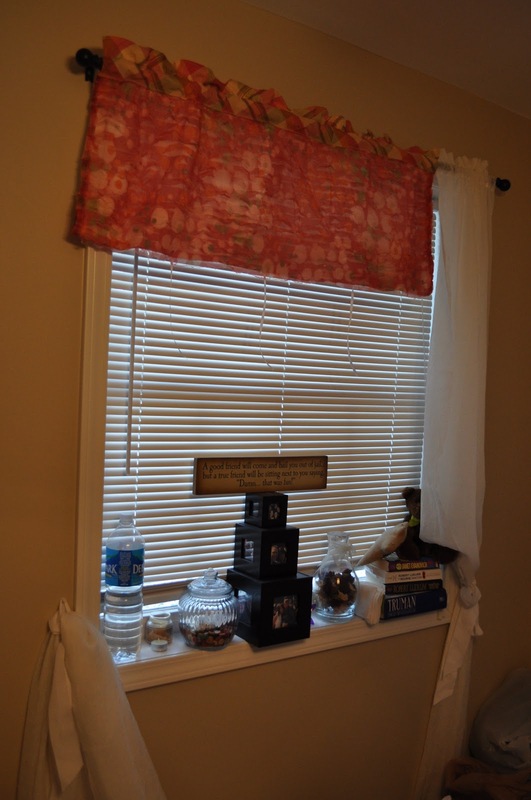 in order to create a valance. These aren't just any valances. The ones that go along with the line are sort of tubular, designed so you place tissue paper inside to make them fluffy. A genius idea, difficult to recreate. These are for a window that is much narrower, but you can get the idea. The fabric is amazing, very ruffled. So girly & fun! Hopefully, these will not disappoint. I want to say they are one of a kind, but I suppose really, they are two of a kind...hehe.